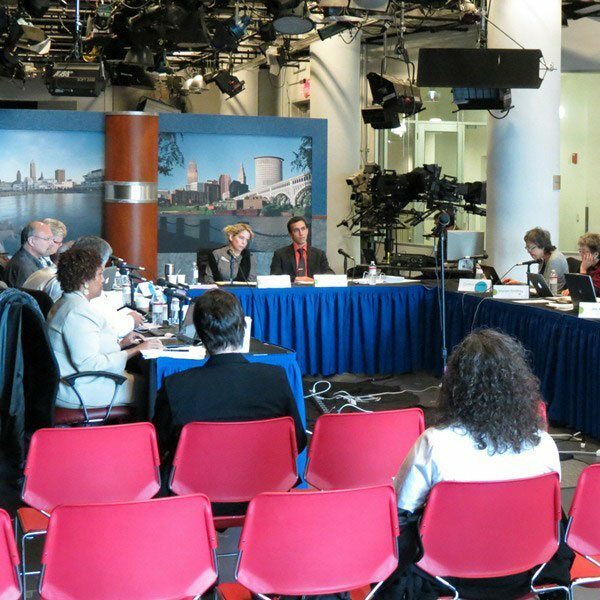 CLEVELAND (September 15, 2016) – Cuyahoga Arts & Culture (CAC) will host its panel review meetings in September, during which arts and culture experts from around the country will evaluate the applications of 193 nonprofit organizations based in Cuyahoga County who have applied for funding through its 2017 Project Support grant program. CAC’s annual Project Support grant program promotes the breadth of arts and cultural programming in our community by supporting projects both large and small throughout Cuyahoga County. Applications reviewed this month will support projects designed to impact the community in 2017. On September 26-27, panelists will evaluate the 77 applications for grants up to $35,000 as part of CAC’s Project Support I grant program. The Project Support I in-person panel meeting is held at the Smith Studio of the Idea Center at Playhouse Square, 1375 Euclid Ave., Cleveland, OH 44115. Applicants, media and the public are welcome to attend, listen live online at cacgrants.org, or follow the panel’s progress on Twitter at @CuyArtsC. At the same time, an online panel will evaluate the 116 applications for grants up to $5,000 in CAC’s 2016 Project Support II grant program. The panel’s comments on those applications will be made available on CAC’s website this fall. Final grants from the 2017 Project Support program will be announced at a public meeting of CAC’s Board of Trustees on Monday, November 14 at 4 pm at the Mandel JCC, 26001 South Woodland Road, Beachwood, Ohio 44122. Cuyahoga Arts & Culture (CAC) is one of the largest public funders for arts and culture in the nation, helping hundreds of organizations in Cuyahoga County connect millions of people to cultural experiences each year. Since 2006, CAC has invested more than $140 million in more than 300 organizations both large and small, making our community a more vibrant place to live, work and play. For more information, visit cacgrants.org.